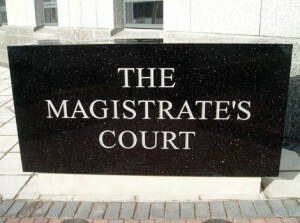 Mariam Salifu, residing at Karimo in the FCT, was arraigned on a two-count charge of criminal breach of trust and theft. The convict had earlier admitted to absconding with the money. Mr. Phillip Appolos Earlier, from the side of the prosecution, had previously told the court that one Christopher Nwozor of Life Camp, Abuja, reported the matter at the Life Camp Police Station on August 19. He said that the accused, who is a cashier at C.C. Royal Fishing, was told to deposit N3.15 million into the company’s account in Diamond Bank at Wuse Zone 2. The police prosecutor also added that the accused absconded with the money on August 17, to an unknown destination, instead of depositing it. The convict was subsequently, arrested in Lokoja, following police investigation. Hajiya Fati Tafida, the Magistrate, sentenced Salifu without an option to pay fine. She ordered that the convict be imprisoned at the Federal Prisons, Suleja, for 14 years to serve as deterrent to others.